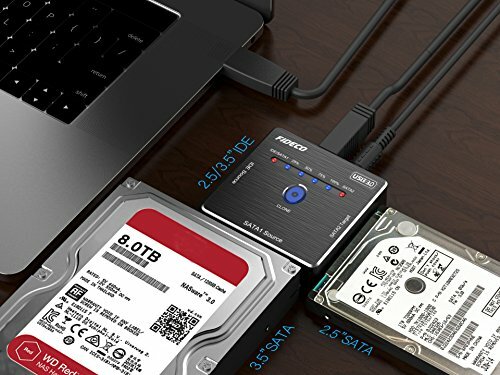 Dual-Head SATA Connector plus one IDE Connector. 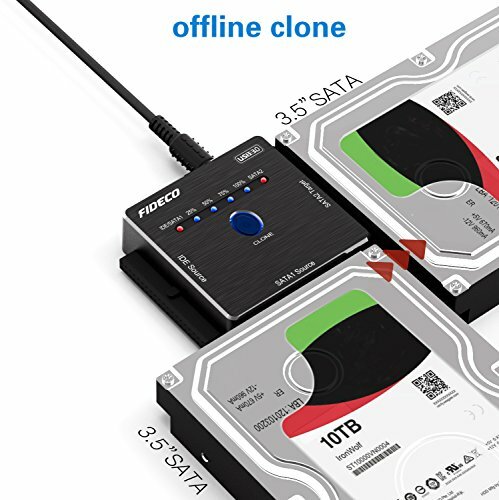 On/Off Switch for HDD protection, can be switched off when not in use. 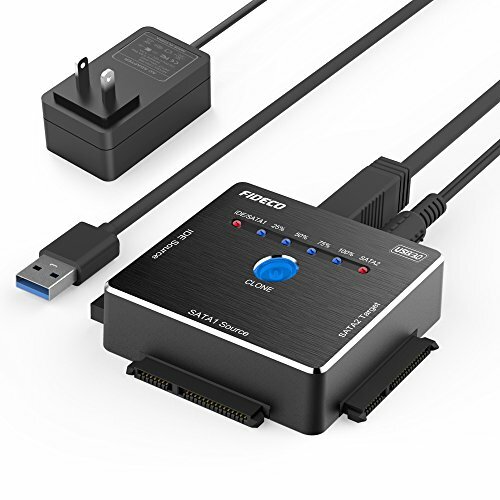 DC Power Supply 12V for 3.5" HDD/SSD devices. LED process indicator: 25%, 50%, 75%, 100%. Compact Aluminum body give you a solid and high quality feeling. Pressing 3 seconds for offline clone without pc. 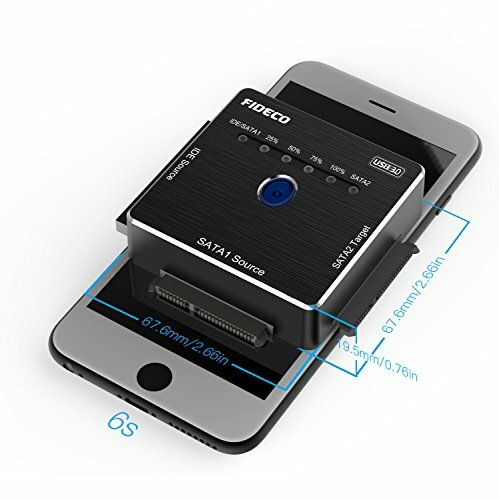 3.5 inch IDE Source can be cloned to SATA 2 Target. 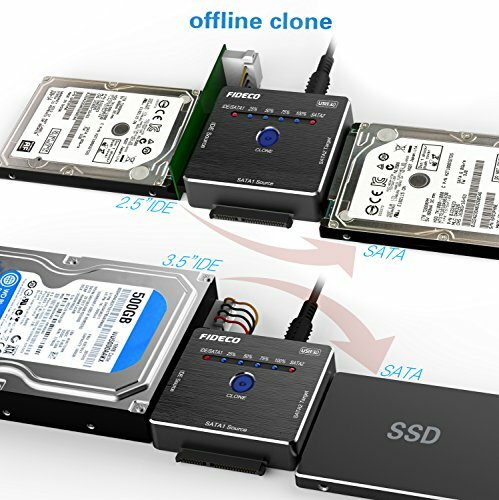 2.5 / 3.5 inch SATA 1 Source also can be cloned to SATA 2 Target. Windows 10/ 8.1/ 8/ 7/Vista/XP , Mac OS 9/ 10, Linux etc. The target disk must be larger or equal to the source disk for clone. 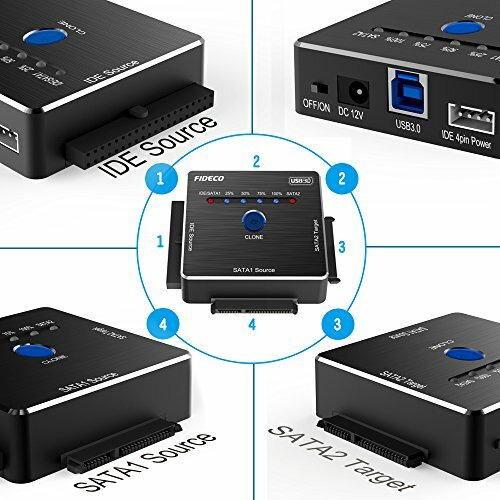 Support 1 IDE hard drive, 1 IDE with 1 SATA or 2 SATA hard drive connecting simultaneously, not compatible with two IDE hard drives simultaneously. Customer satisfaction guaranteed! We Offer 100% Money Back Guarantee, 18 months Warranty.